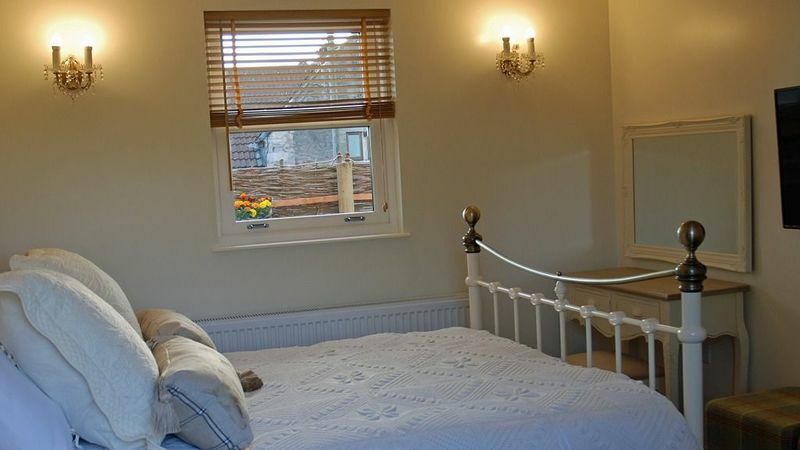 A beautiful refurbished (2011) room with stunning views to The Mendip Hills and Downside Abbey. Stunning evening sunsets! 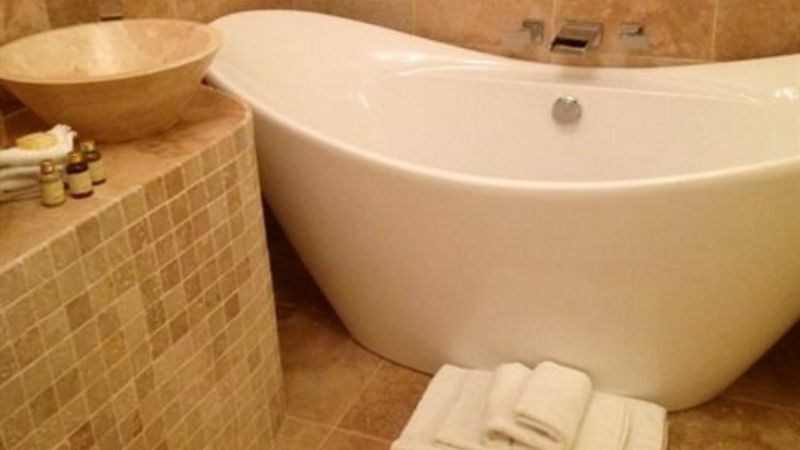 Kingsize antique sleigh bed and origional uncovered fireplace, Limestone bathroom with sandstone basin, Rain shower over wide ended bath. 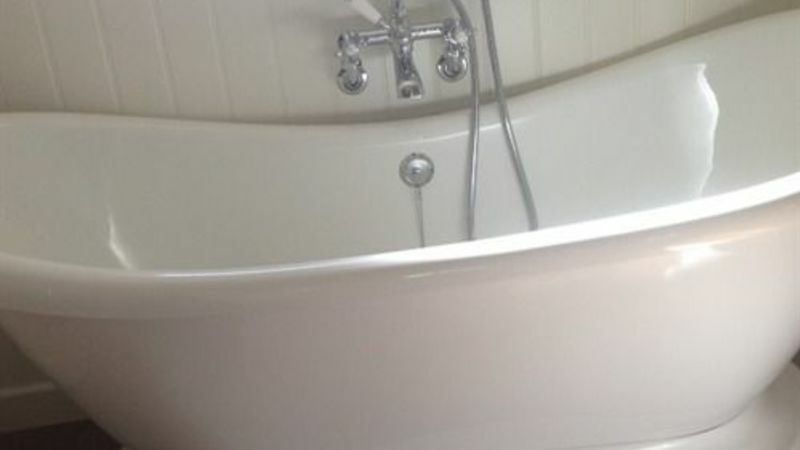 Multi channel digital Flat screen t.v/ dvd. Library of dvd's for guest use. 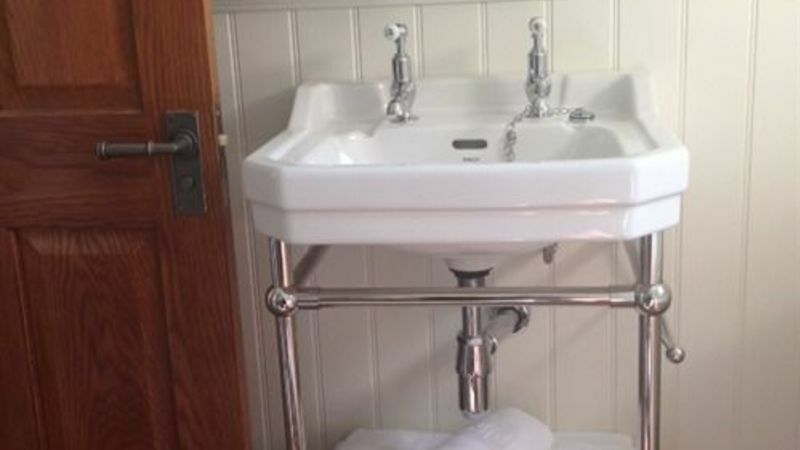 Tea and coffee making facilities, trouser press, hairdryer. 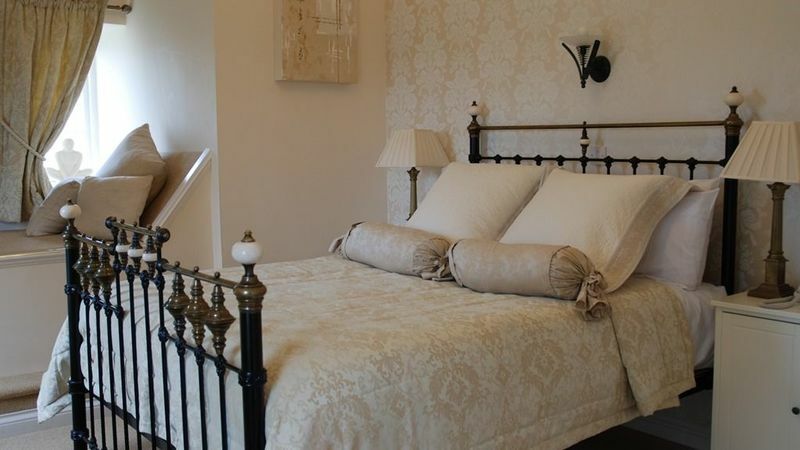 Champagne has a distinct French Style with shuttered windows and a beautiful kingsize bed. 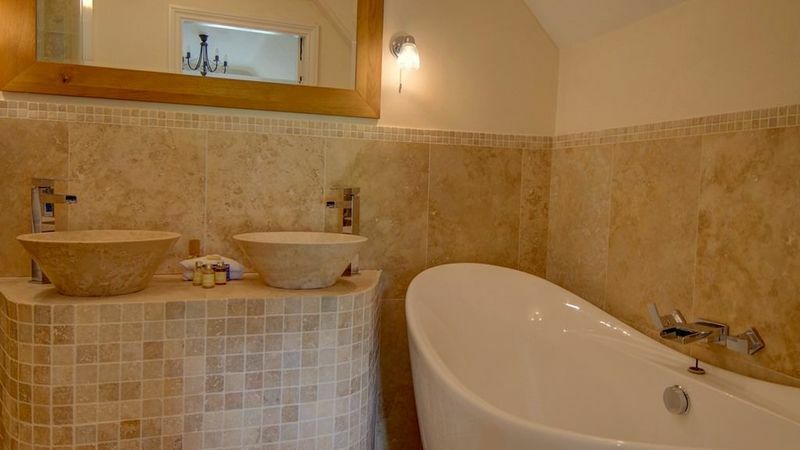 The full bathroom is limestone with a large double ended bath and waterfall taps from the wall. 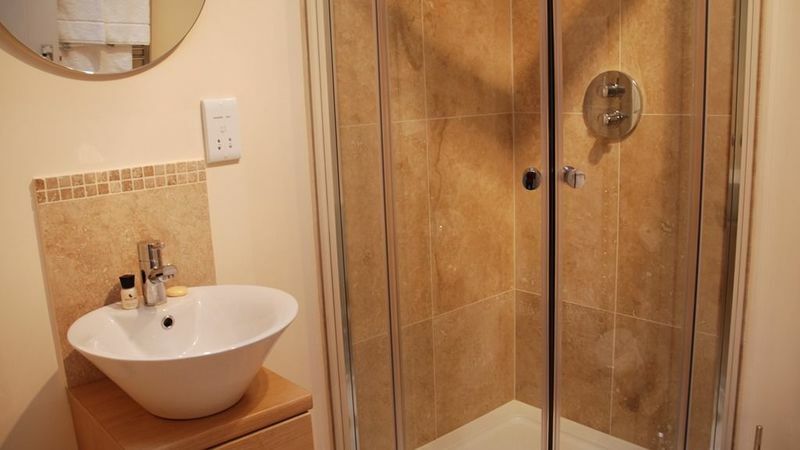 Luxury toiletries, Sandstone basin and seperate shower. 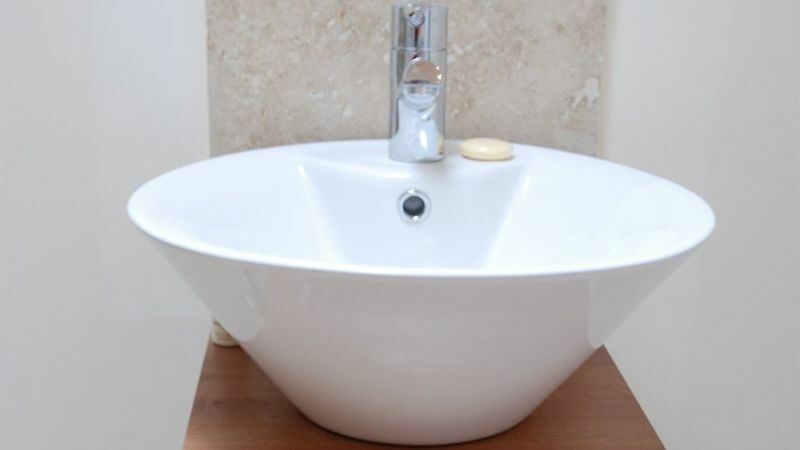 There is a platform bed for a child if necessary. 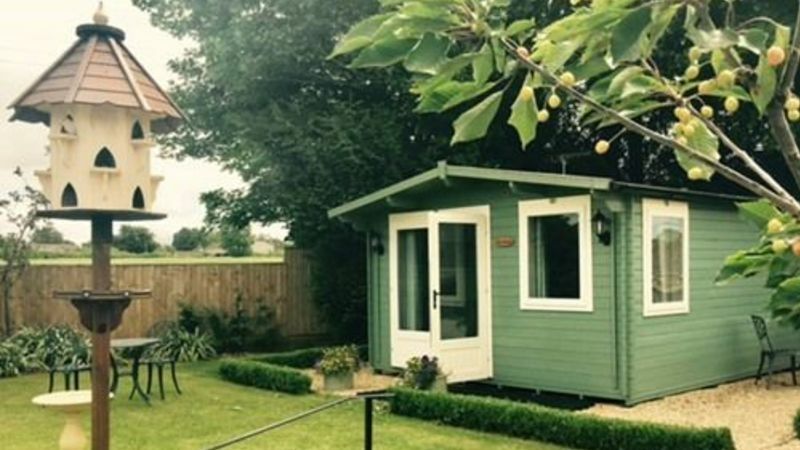 Tea and coffee making facilities, flat screen freeview digital tv/dvd and a dvd library. 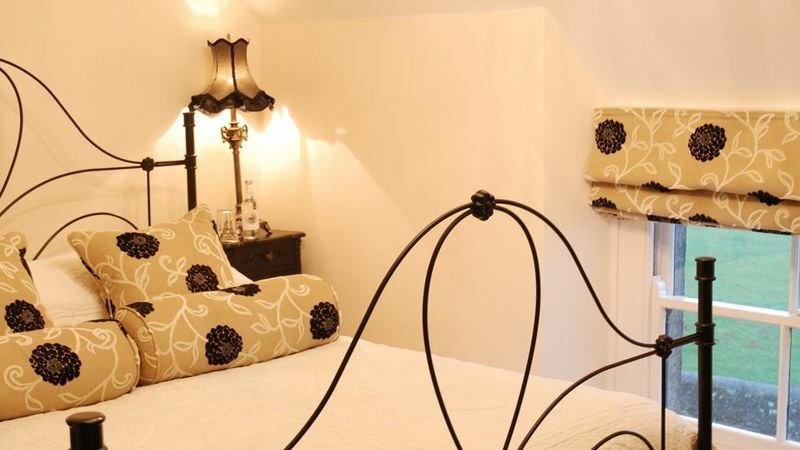 A decadent room named after Darcy's home from Jane Austin. 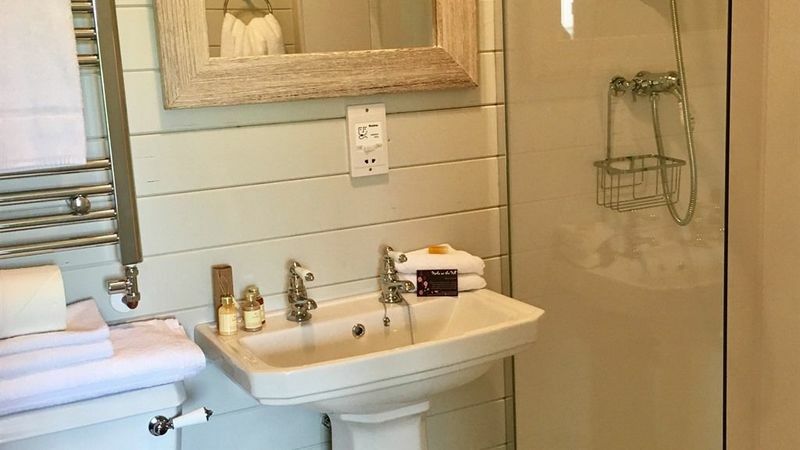 A little "back in time" luxury style with a barley twist four poster mahogany bed, panelled bedroom with Victorian lights a big cast iron claw footed bath for two people and a separate rain shower. 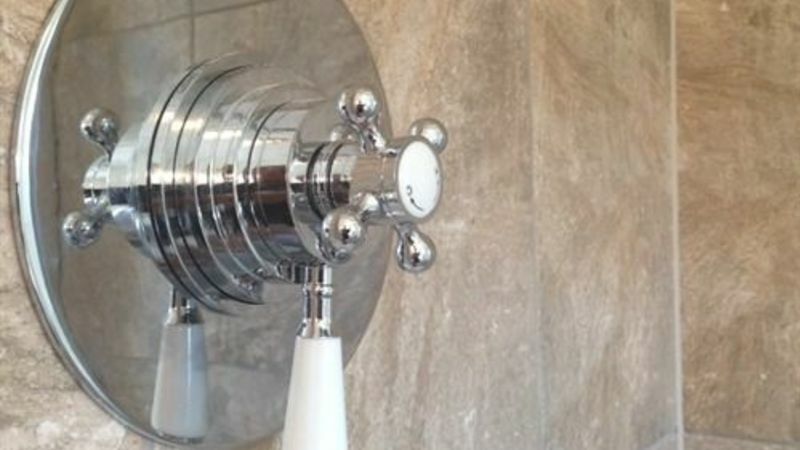 Takes its name from the Baroque style it is designed in. Beautiful big room with seating area and 44" TV. 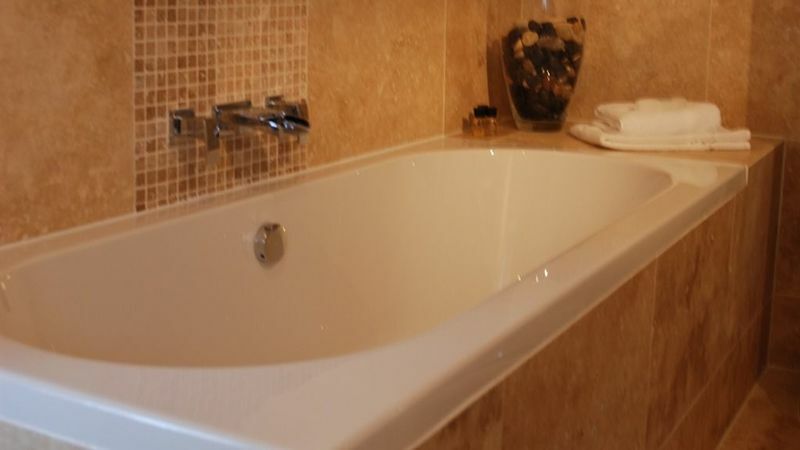 Large beautifully designed bathroom with black granite, a double ended bath tub for two, a separate rain shower etc. 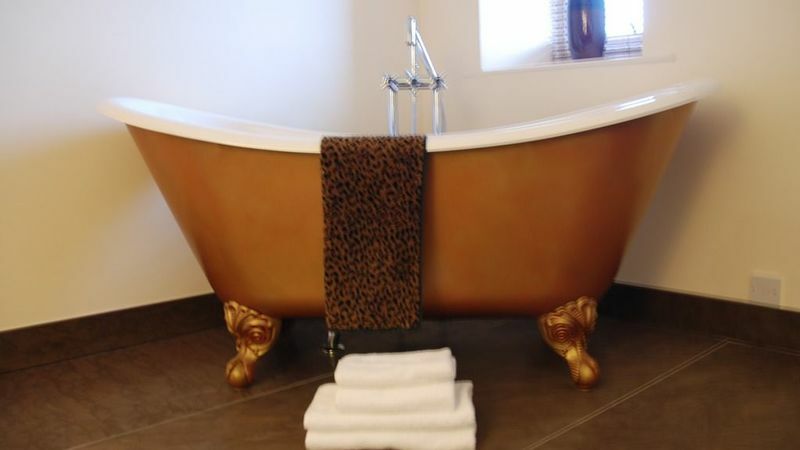 Our very special "Africa" room, having a stunning double ended burnished gold bath in the room and a seperate circular mosaic wet room with drench shower. Beautiful views over the Mendip Hills and to Downside Abbey. 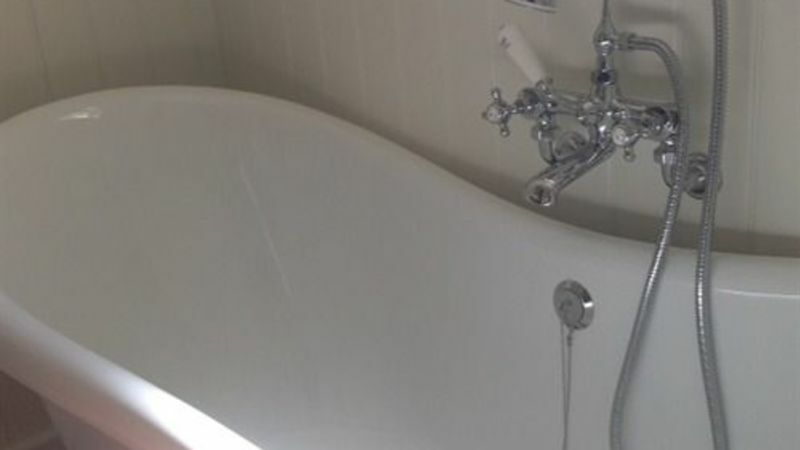 The sunsets into this room making it a heavenly bathtime! 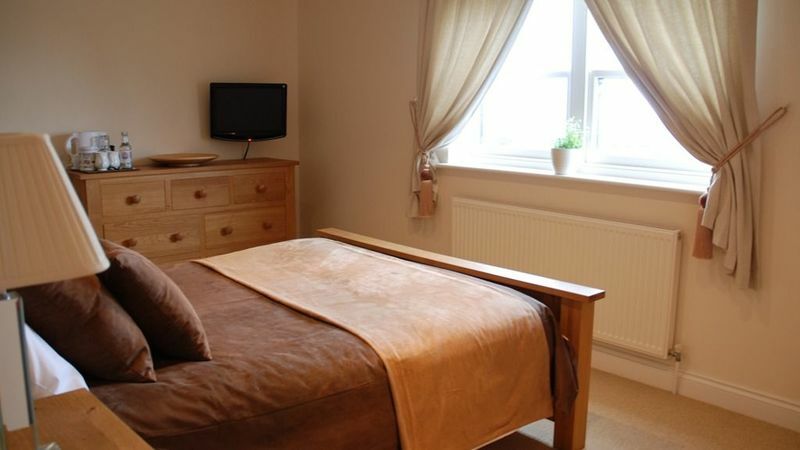 Flat screen tv/dvd, dvd library, tea and coffee making facilities, hairdryer, trouser press. 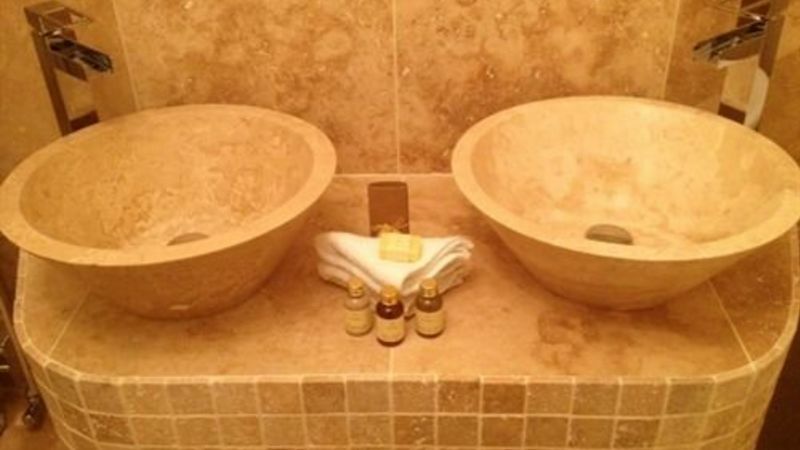 Luxury toiletries. 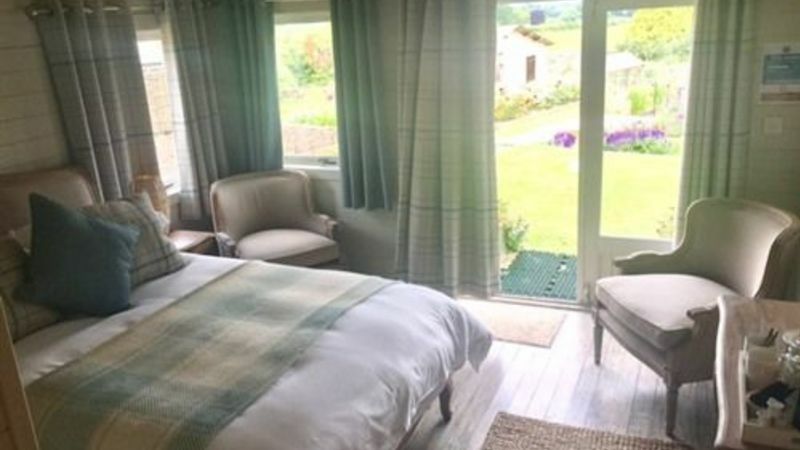 A lovely room with solid oak furniture, beautiful views to the Abbey and surrounding countryside, flat screen tv/dvd, tea and coffee making facilities, trouser press. 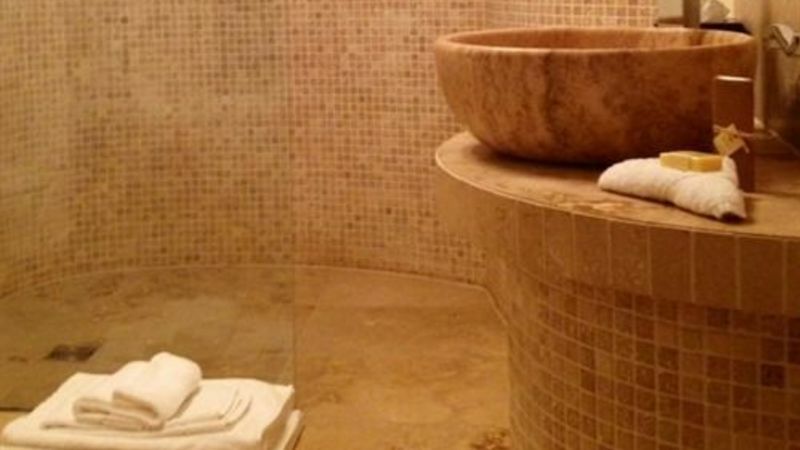 Limestone shower room with drench rainshower and luxury toiletries. 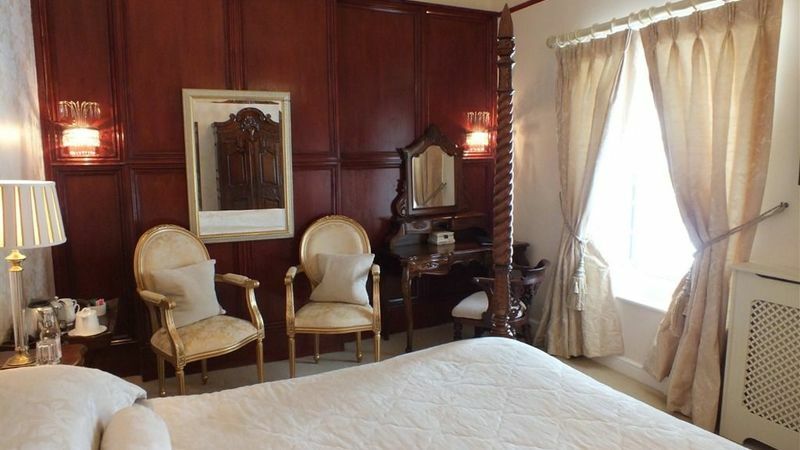 This room together with the adjacent Tiffany twin room makes an ideal family suite. 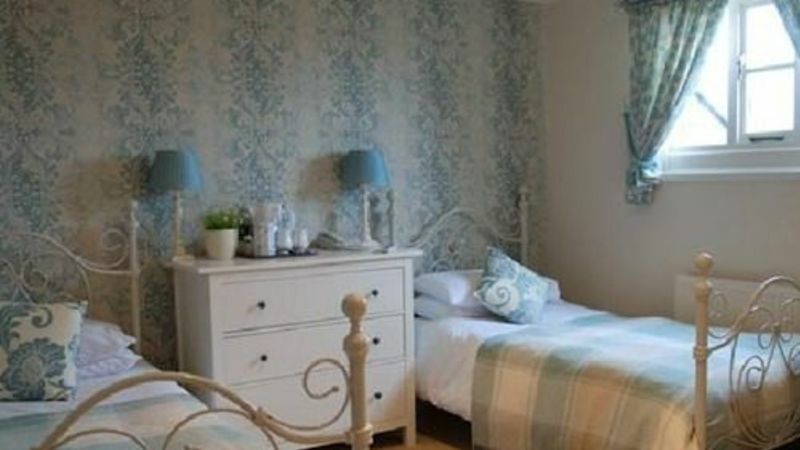 Tiffany is a beautiful twin bedded room decorated in duck egg blue and cream The room can be configured into either 2 singles or a double bed on request. 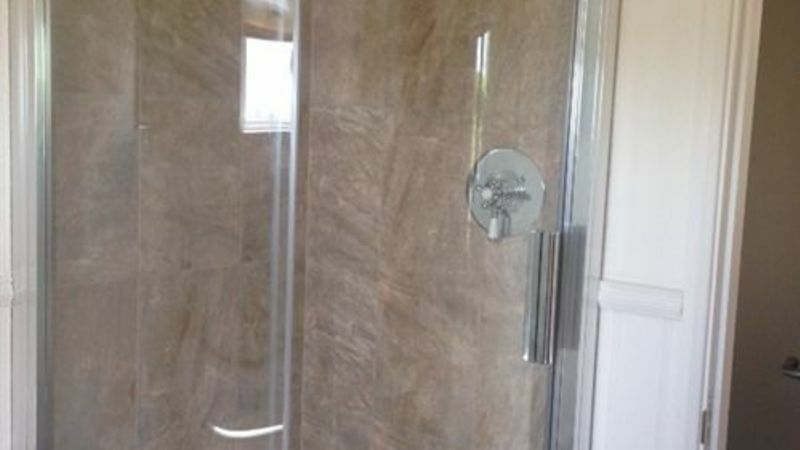 A limestone shower room. 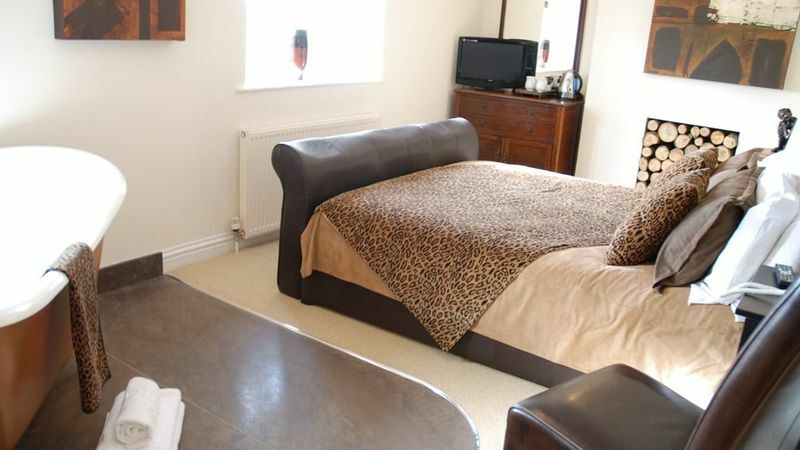 This room is adjacent to The Oaks making both together an ideal family suite. 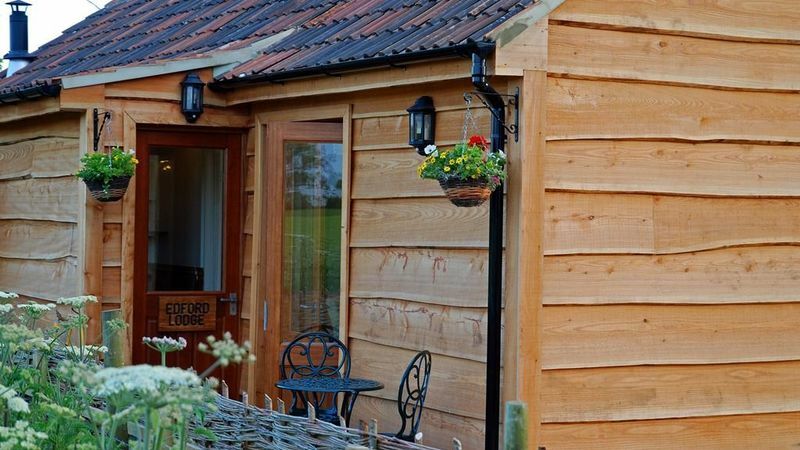 Each room contains a TV, tea / coffee making facilities, a telephone and free wireless broadband. 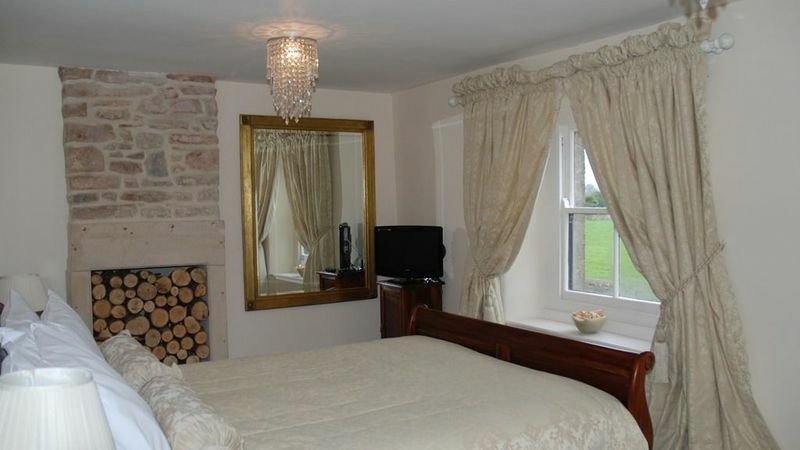 All bedrooms are decorated to suit the individuality we offer and many have lovely countryside views. 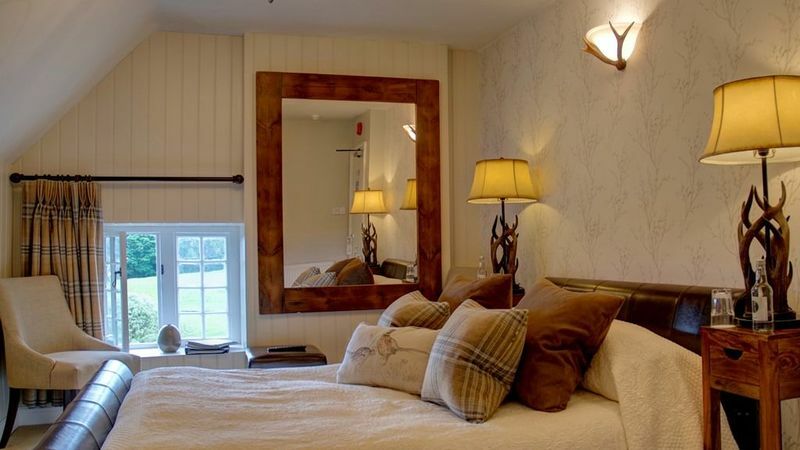 Beautifully refurbished 'Hunters' with a kingsize leather sleigh bed, big antler lamps and rich wool tartans. LED flatscreen TV/DVD. 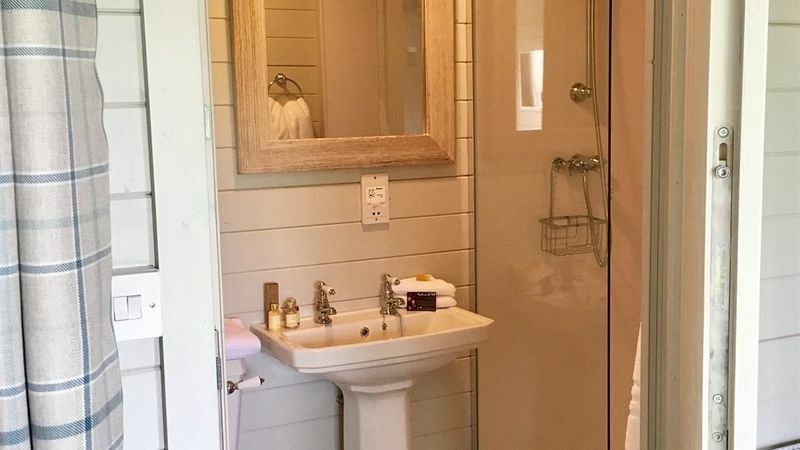 Stunning bathroom with twin sandstone basins, a double ended luxurious bath for two, all with waterfall taps and a large seperate rain shower. 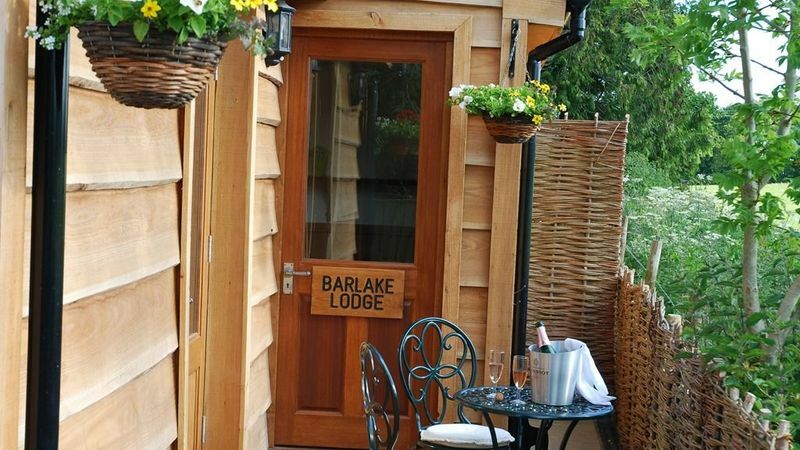 Barlake Lodge is one of two external ground floor rooms with its own private parking, French doors opening to a pretty patio with seating overlooking glorious open countryside. 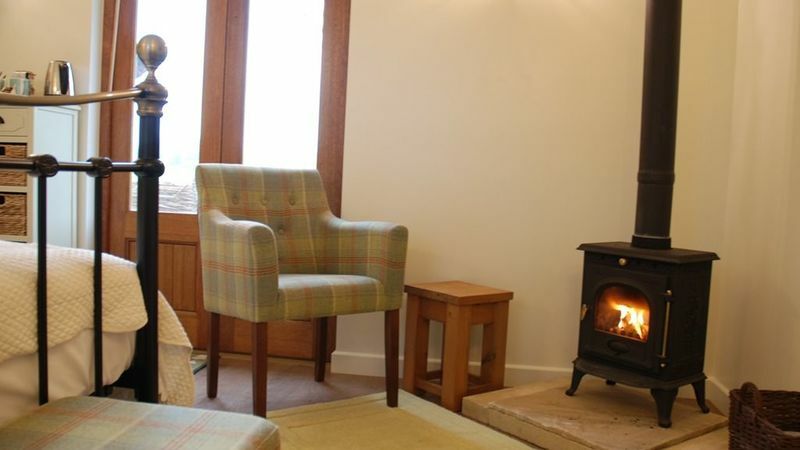 Entrance porch, King bedded room with seating, log burner and luxury bathroom. 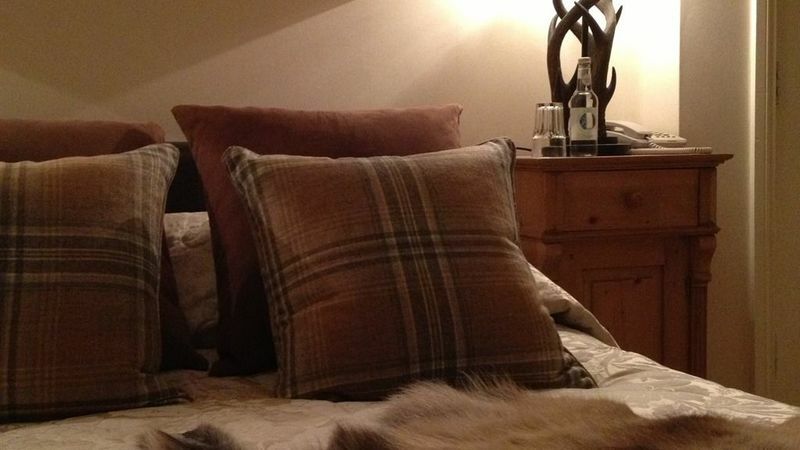 Dogs allowed by request at a charge of £20.00 per night. 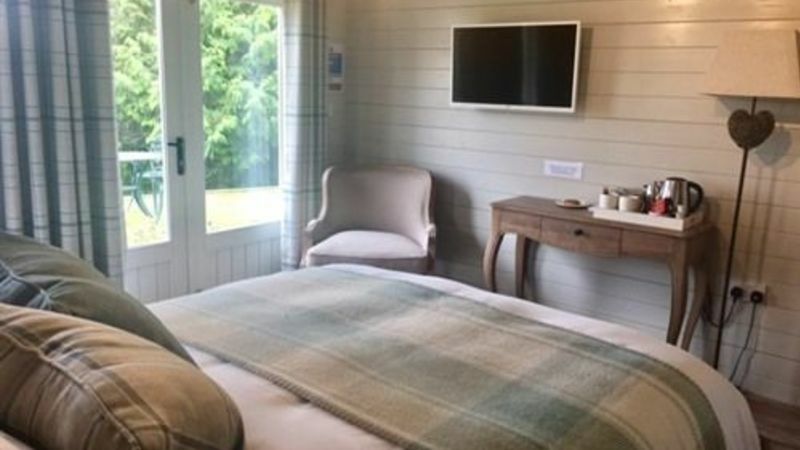 Edford Lodge is one of two external ground floor rooms with its own private parking, French doors opening to a pretty patio with seating overlooking glorious countryside. 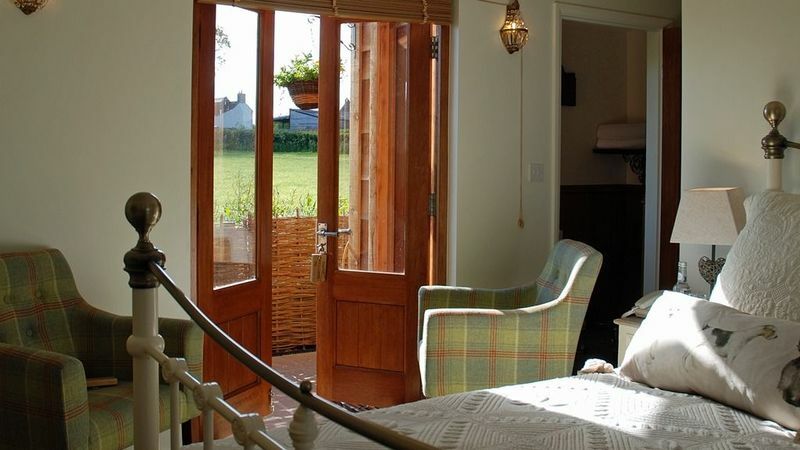 Entrance porch, King bedded room and luxury bathroom. 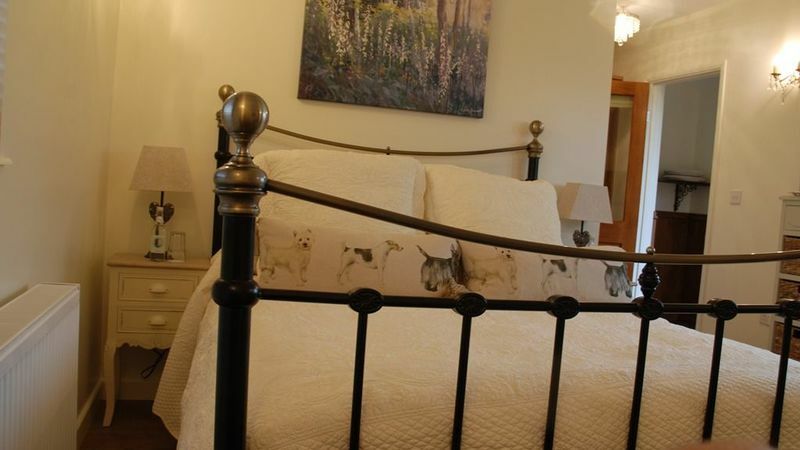 Dogs allowed by request at a charge of £20.00 per night. 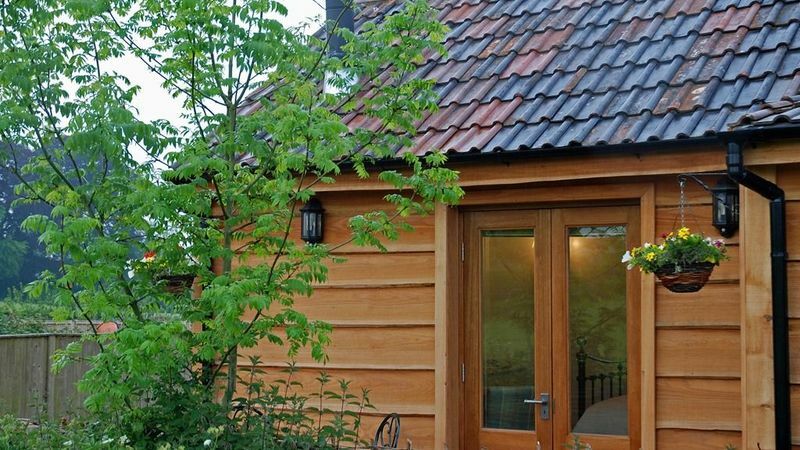 "The Roost" is a very special detached wooden lodge in its own private garden, situated in our tranquillity garden. 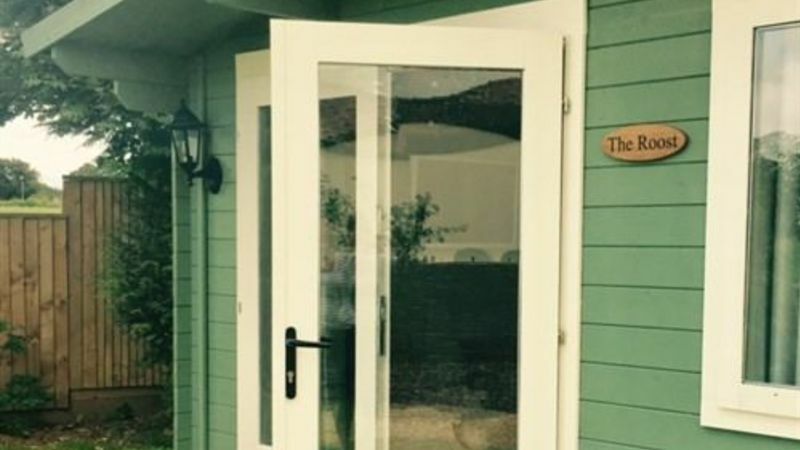 Aptly named with a beautiful Dove cot housing our family of white doves, Stunning views of the gardens and countryside beyond to downside Abbey. 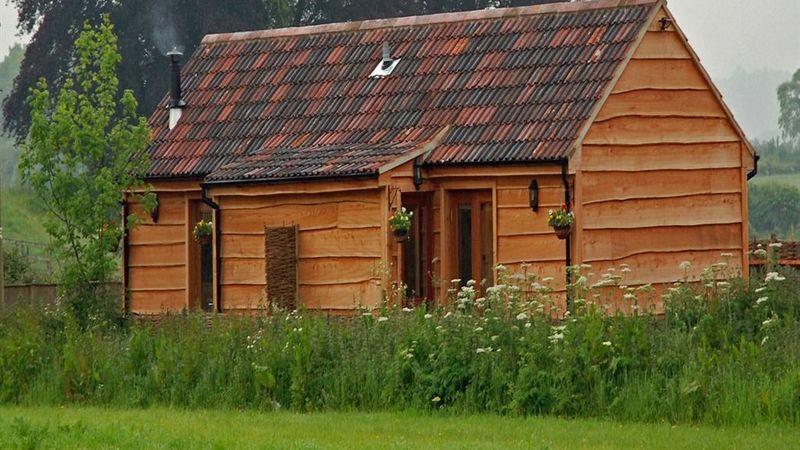 The roost is fully insulated with flat screen Television/DVD and its own WIFI connection. 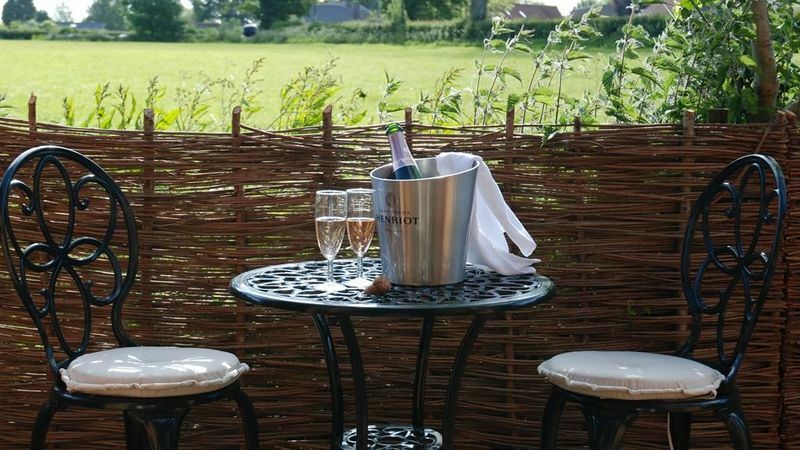 Earliest check in is 3.00pm. Latest check in is 10.30pm. We kindly ask that you check out by 10.30am.